I'm not exactly what to say, other than that this is an excellent movie. 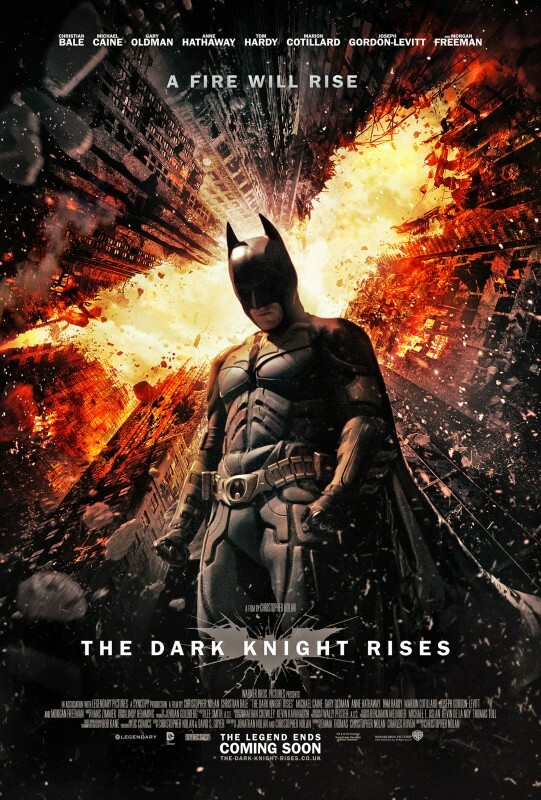 I don't know if it is the best one in the Dark Knight trilogy since the second movie was really good as well, but TDKR won't let you down. It ties together the first two movies really well and you'll watch it all the way through without blinking. This Batman reboot blows the Spider-man and Superman reboots out of the water. TDKR shows you the proper way to make a big-budget movie: great director, great actors/actresses, awesome script. This is a fantastic ending to The Dark Knight Trilogy. Just a great great film. I found about halfway through that what Nolan had made was not a trilogy of 3 separate stories, but more one, epic, cohesive tale, not about Batman but about a universe Batman merely inhabits. The movie ties in with the first two in ways I would never have thought, the plot kept me on the edge of my seat and constantly guessing, and the emotions and acting throughout the movie are perfect! I have been a huge Batman fan since I was a child. I think it's a great movie, a great series and I think I'll watch it again! The only thing that bothers me is that the movie was a bit too long. Three hours, come on! !